Monthly gifts help us plan for the future. They give us the certainty we need to make long-term commitments, like hiring staff and signing leases. Monthly gifts make it possible for us to keep working even when refugees aren't arriving. The only federal funds we get are attached to newly-arrived refugees. So no new refugees= no $$. But monthly gifts keep us afloat so that we can be here for the refugees who are already here, and be ready for those who have yet to come. Monthly gifts allow you to give a really significant gift over an extended period of time. For most of us, $300 is more money than we could give at once. But if you set up a recurring monthly gift of $25, you will have given $300 within a year. That's enough to train a group of 80 co-sponsors, who in turn will change the lives of multiple refugee families. That's amazing! Monthly gifts are easy and secure. All you have to do is enter your information once and you're good to go! The gift will start drafting every month and you won't have to worry about it from there. But if you need to change the amount, the account or cancel the gift altogether, you can do that easily yourself on our online giving platform. If you give a recurring gift of $25 or more, we'll send you a FREE Canopy t-shirt! We're taking 2018 by storm! 1. Investing in Tomorrow, Financial Literacy for Tyson Team Members. In partnership with the Lutheran Immigration and Refugee Service and Credit Counseling of Arkansas, Canopy NWA has launched a pilot financial literacy class for immigrants and refugees at two Tyson plants in our area. This initial 8-week class has students from the Marshall Islands, Somalia, Mexico and El Salvador. In the absence of new refugee arrivals, we've really enjoyed the opportunity to serve a wider subset of the immigrant community! 2. Women's Empowerment. 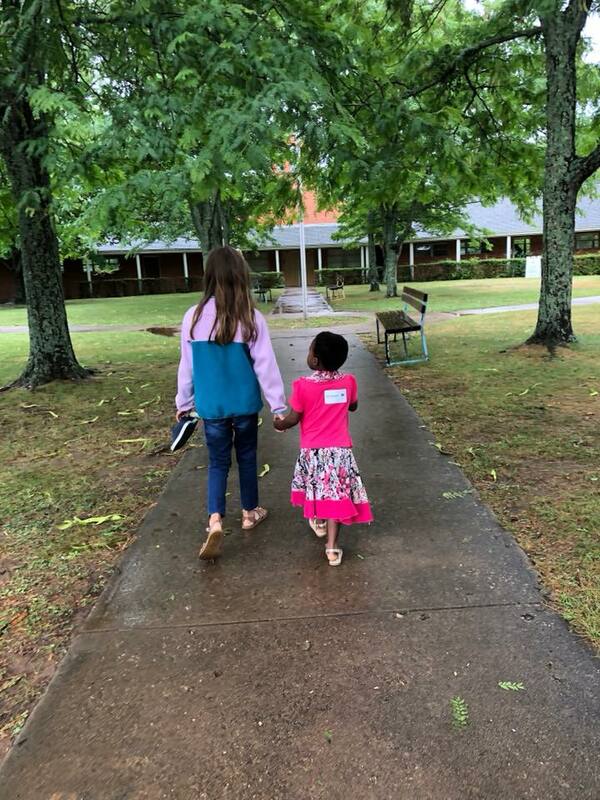 Our volunteer coordinator, Miranda, has assembled a rockin' team of volunteers who are set to launch a women's empowerment program for refugee women in Northwest Arkansas. This program's mission is to bring women together to support each other, learn from each other and help each other pursue their goals for their new lives in the US. We can't wait to see where this goes. If you'd like to support this initiative, email miranda.black@canopynwa.org to find out how. 3. Ongoing Cultural Orientation and Mentorship. 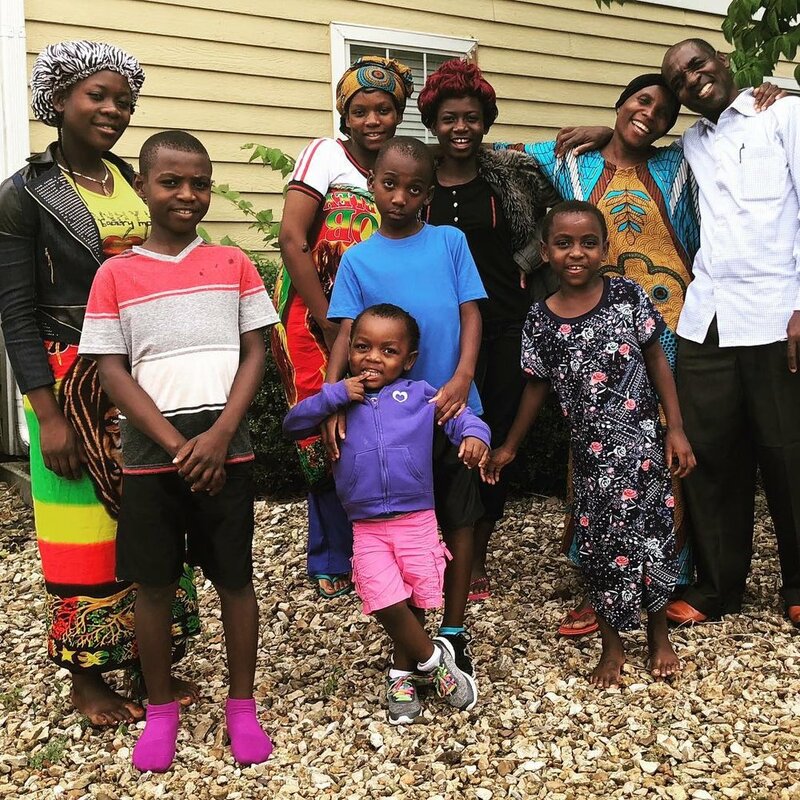 We're working on developing a series of monthly cultural orientation workshops to help our refugee families learn how to navigate our community's systems and resources-- even long after they've finished our reception and placement program. We'll get started in March with a workshop to help all our clients complete their tax returns :) Do you have a topic you'd like to teach that you think could be helpful to our refugee clients? Do you want to help us facilitate these workshops or assist with transportation or childcare? Great! Email miranda.black@canopynwa.org and watch Better Impact, our volunteer management portal, for opportunities to volunteer. February 20, 6-8 pm: Advocacy Training. Come to the offices of Big Brothers Big Sisters to learn about how you can be an effective advocate for refugees in this crucial moment. Space is limited, so we ask that you register in advance on Better Impact. February 24, 4 pm: Refugee Night at Artists' Laboratory Theater. Come hear performances by and about refugees and learn more about the work Canopy does. Donations and tips will go toward our big trip to Washington DC. March 2, 7-8:30 pm: Movie Night Fundraiser at Good Shepherd Lutheran Church. Bring your whole family and join us in watching the award-winning film Coco. There will be a $10 suggested donation for admission to help us raise funds for our big trip to Washington DC-- all you can eat popcorn included. March 4, 5-8 pm: Kitchen Takeover at MOD in Bentonville. NWA Emerging Leaders and Modern Ozark Dining are teaming up to offer an incredible meal, inspired by Congolese refugees and benefiting Canopy NWA. You'll have the opportunity to taste Congolese cuisine, hear from some Congolese refugees and support the work that we do. Tickets are available now but they're going fast! Buy yours today. March 15-16: Trip to Washington DC! 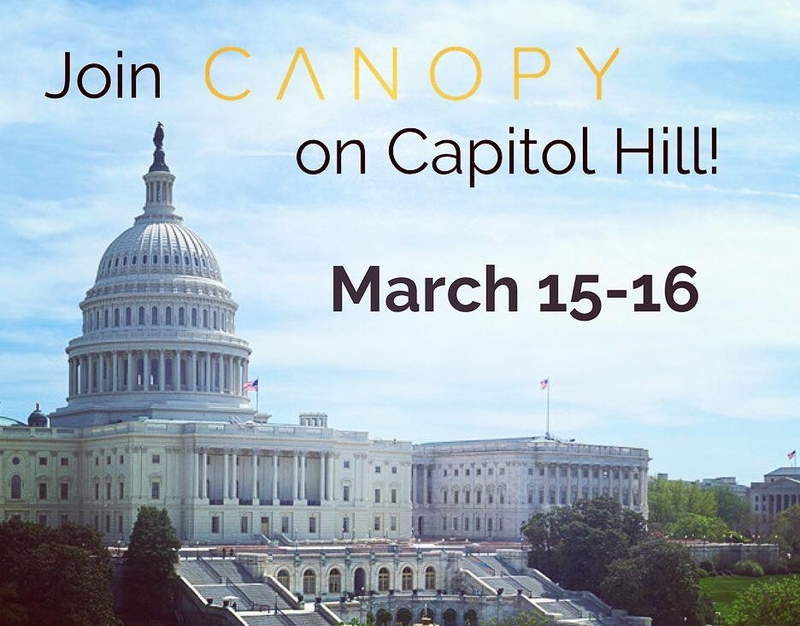 Canopy NWA is taking a group of 20 people from our community to Washington DC to meet with our representatives. This group will include refugees, co-sponsors, community members (some as young as 12), college students, pastors and businessmen, all eager to share their stories with our leaders on Capitol Hill. Many of these participants need to raise funds in order to make this trip possible-- so please consider giving to help them along their way, and/or attend the other fundraising events we are holding this month. As you can see, we are giving 2018 everything we've got! We're pushing our representatives to bring our refugee families home, we're expanding our services to reach more members of our community and we're creating new programs to allow us to serve our refugee families in new ways. None of this work is funded by the federal government-- it's only possible thanks to contributions from people just like you. To help us keep all this going, please consider giving a gift today! We are sad (but proud) to announce that after a year and half of intense, foundation-building work with Canopy NWA, Rick Barry, our Employment Coordinator, is moving on to serve our country as an Army Officer. It was Rick's heart for public service that brought him to us-- and now it is taking him away to Officer Candidacy School. Rick hopes that this opportunity will equip him to be a better leader and will allow him to serve his country wherever it needs him most. Of course, it goes without saying that we couldn't be prouder of him. As sad as we are to see him go, we are excited for the opportunity to add a new person to our team and start a new chapter in Canopy's Employment Program. This person will play a foundational role in helping us launch two new initiatives this year: one aimed at providing employment services to non-refugees in our community and the other aimed at helping refugee families who need a little extra time and assistance to become self-sufficient. They will also teach a job readiness course, help place clients in jobs and expand Canopy's network of employers-- all with the goal of helping our clients become full, contributing members of our community. If this sounds like you, send a resume and cover letter to: emily.linn@canopynwa.org by February 21.